Don’t take your organs to heaven with you. You asked me to explain what I do, so here goes, this may get a little long but I hope you will enjoy it. I guess in a way it depends on which “hat” I’m wearing at the time to some extent…..
One of the hats I wear is that of a kidney matchmaker, basically I help people find the amazing individuals that are willing to be a kidney donor to a stranger. To do this I offer support, education, encouragement, and comfort to both donors and recipients and their families. 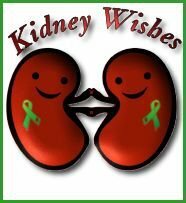 I do what I can to ease their fears by giving them facts and making sure donors are aware of both the risks and the benefits associated with live kidney donation. So that they can make an informed decision. Each person needs to make the choice that’s right for them and know that they have the right to change their mind at any time and should never feel pressured. For those Recipients I’m working one on one with, I offer them support, make sure they know what’s going on, understand what comes after the transplant, and set up fund raising to cover the long term costs that are part of transplants. I assist them in any way I can and search for someone that will offer them the gift of life. I can’t stop at one donor for each of them, only about 1 in ten donors will make it to the surgery. To better the odds, I reached out to two of the largest living donor networks in the US and they reached back. I asked if anyone would be willing to talk to possible donors from the point of view of a someone that’s been there. I do not qualify as a donor, so as much as I wish I could help, I can’t in that way. So I do what I can! I ended up with 400 volunteers and they would like to be donor buddies and pair with a possible donor and be there with them through the whole thing. 😀 I shouldn’t be surprised by this, every living donor I have met is a miraculous individual. They all tell me that donating was such a moving experience that it changed them, changed their lives, for the better. Recently I was made an unexpected offer that has allowed me to do more. An individual, who wishes to remain unnamed, has offered to cover the transportation costs, lodging, and food for my donors in order to aid them in donating. We are careful not to hand them cash, but we both feel that the donor shouldn’t have to pay to donate. For those that come to me for information, but already have recipients lined up, I find other resources to aid them and cover any of the costs. Most people are blissfully unaware of what is going on with the transplant list. As of today there are 112,916 people on the transplant list. Those waiting call it the death list. There are 75 transplants each day as well as 130 people added to the list. At this point in time 19 people die each day while waiting for transplants. This is not something I remind recipients of. They spend years suffering, with no energy, unable to even go anyplace because the phone might ring. If they make it they get organs that won’t last as long, that pose higher risks, etc. Transplant Centers are not helping matters. I just paired up a donor that has been waiting, already approved,with one of the most needed blood types, for over a year for the hospital to find him a recipient. He has been paired with a man that just turned 31 in Jan, who has been fighting full kidney failure for the last 10 years. He was in his 3rd year in college when he was forced to drop out and move back in with his parents. He has been on dialysis, three times a week, for almost 6 years without a call, or any hope. The human body, and mind, can only handle dialysis for so long. People describe feeling like it takes part of their soul each time they are hooked to that machine. It’s not a nice thing. Currently I’m working with 2 older people one not yet middle aged, the other a loving grandmother that wants to see her grandson again, but can’t travel. I am also working with a 3 1/2 yr old, 15 month old and a 7 month old who all need transplants. They are treated just as the adults on the list. No benefits for being young or born with end stage renal disease. The little ones always break my heart. I got a call last night about the 15 month old who is O+, his dad is not a match, and has been disqualified as a donor due to high blood pressure. She was hospitalized shortly after she got the notice that tricare (her insurance as a military wife) refused to pay $215,000 in medical care. Thankfully I had just arranged a radio spot in her area and a benefit concert for her son, with an out of control texas promoter who is turning it into multiple benefit concerts in various locations. So I had some good news for her at least.